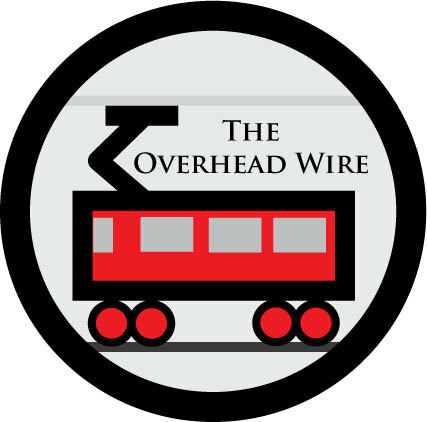 The Overhead Wire: Take Off! That's the loud phrase I used to hear from one of my college track coaches, Bubba Thornton, during races urging me and my teammates to move faster. A similar call was made by UTA's (That's Utah Transit Authority, Not Univ of Texas at Arlington) John Inglish when he spoke before the Banking Committee Friday. This time however, it was a call to speed up the New Starts program. In August 2007, FTA and UTA executed a Memorandum of Understanding to set forth their mutual expectations for Federal financial participation in two of five projects that comprise UTA’s “Transit 2015 Program.” UTA was seeking a combined $570 million in Section 5309 New Starts funding for the Mid-Jordan and Draper LRT extensions. In return, UTA made a commitment to build, by 2015, the West Valley City and Airport LRT extensions, as well as the South Front Runner (commuter rail) extension without Federal financial assistance. The current total capital cost estimate for the five projects in the Transit 2015 Program is $2.85 billion. That's a pretty good deal. And UTA is having a better time than their counterparts in Denver who decided to wait to buy up existing rail lines. I'm not a huge fan of using existing rail lines unless they go exactly where you want to go, but UTA bought up 175 miles worth for $185 million dollars back in 2002. With the Fastracks plan, the railroads can pretty much get away with murder and seem to be trying. But all of this points to the need for the FTA and DOT to start thinking strategically about regions that don't want to build systems line by line. Fixing the new starts program such as Congressman Oberstar wants to is great (PDF 42), but it still isn't a holistic look at how to provide support for regions that are going for more than one line at a time. I'm sure there are some other programs that allow regions to program funding, but I'd like to see the feds take a look at directly enabling this type of expansion. Obviously there are a lot of regions with a lot of expansion needs, and if they are going to succeed and not waste any money, they need to speed it up. I remember once in the 90s sitting inside a management meeting at an American transit agency that was trying to build a lot of light rail, and debating where to seek federal funding. The bottom line was that Corridor A had a better cost/benefit in FTA terms, and therefore needed to be delayed for years so that it could go through the FTA analysis process. Corridor B was less effective and would therefore get built first, because they were funding it locally. Everyone could see how ridiculous this was, but there didn't seem to be a way around it. The FTA-UTA deal looks like a clever way around that. The next step would be -- God forbid -- a system of evaluation that considers the costs and benefits of an entire proposed network, not just each line in isolation. I believe Houston got the network benefits which is why they were able to move all their lines from BRT to LRT. The network ridership was greater than just line by line. They only got $570 Million out of $2.85 Billion construction costs? That's only a 20% federal match. How is that a good deal for UTA? It's the best deal they could have gotten in the existing environment. Which is why I was saying that the Feds need to step it up. If they wanted to get 60% of all five lines, it would have taken at least 20 years, pushing the costs up much much higher than $2.5 billion. You can also look at it in terms of costs saved from not having to wait forever for federal funding. They will have completed 70 miles in 7 years and won't have to worry about how much it will cost in 20, which would be a lot more. In contrast, Houston is going to get 50% for two lines and build the other two itself. The fifth line is going to have to wait while costs escalate because they want to take it through the New Starts process. If they would have made a similar deal as UTA, they wouldn't have to wait and the total price tag would be lower.